Organisations that wish to become a partner organisation of Under Construction will benefit from the use of our beautiful training room, wi-fi and hot desking facilities, Under Construction News, Social Media links and partner activities such as training opportunities or group events. This is a flexible arrangement, tailored to suit your needs, underpinned with a Service Level Agreement. Sometimes it’s hard to know what steps to take to move on in work and life. It is hard if you have lost your job, have never been in work, need help to find a new direction or support to take the next step. This is where the National Careers Service can help. The National Careers Service, delivered by Prospects Services in the South West, makes it easy for everyone to gain access to free advice and guidance about work and learning. Our service offers accurate information, to UK residents aged 13 and over, via our comprehensive careers website, web chat, and by calling our national helpline on 0800 100 900. Those aged 19+ can also request face to face meetings with a qualified careers adviser. The job market is changing, and it is vital that people are aware what careers and skills will be in demand in the future and have a clear picture of future job trends. Our qualified advisers are equipped with up to date labour market information, enabling people to make informed decisions about their career path and the skills, personal qualities and qualifications needed to access them. For a free careers appointment call 01174 030 150. Based in Honiton, East Devon, Cosmic is a digital consultancy and social enterprise which specialises in IT training courses, business consultancy, website development and technical support. This social enterprise consists of 30 people and has been running for 21 years. Cosmic’s mission is to deal with the issue of digital inclusion, ensuring that all people in all communities in the UK have the access, skills and knowledge to make use of digital technology. Cosmic deliver training and support to local businesses, schools, charities and to community groups in both rural and urban areas in Devon, Somerset, Dorset and Cornwall. Bridgwater Chamber of Commerce is dedicated to supporting the interests of local Bridgwater businesses and organisations. We provide a voice to our members and actively lobby on behalf of the local business community. Our membership comprises of a diverse range of businesses from within the Bridgwater area, from SME’s to major employers. Businesses are kept in touch with what is happening locally through social media, newsletters and our website. Regular events are put on enabling members to network with like minded businesses and focusing on relevant subjects. 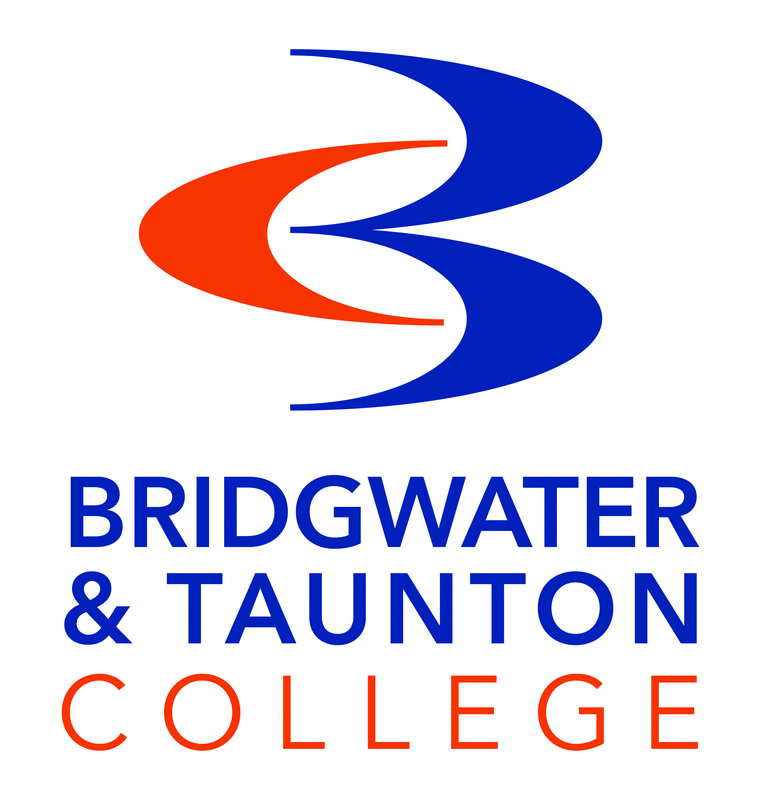 Bridgwater & Taunton College is located in a strategic position that offers easy access to the rest of the UK, with campuses in Bridgwater, Taunton, and Cannington. The College has around 28,000 full- and part-time students and employs 1,500 staff. The student population includes 1,600 apprentices and 650 students on higher education programmes, as well as a growing international community from over 35 different countries. The College has one of the broadest curricula of any school or college in the United Kingdom, with qualifications at all levels of study, for all age ranges, from entry level programmes right through to full Honours Degrees. It is one of only a few colleges outside the private sector to offer the International Baccalaureate Diploma. Our Employer Engagement team are able to advise and support local, regional and national employers of all sizes and in all major sectors about skills and training packages that can support business needs. We have access to a wide range of funding and with the expertise of the team can assist businesses in developing training schemes that minimise the cost of training for them and deliver skills training in a flexible way that makes the most of these funding opportunities. At Bridgwater & Taunton College we also need the business community to support us as we develop our students who are the workforce of the future. Working with employers we plan and deliver a range of programmes that can bridge the gap between education and employment. These programmes provide students with tangible experience and relevant skills to move into employment required for the labour market and include work experience placements, Traineeships, sector-based work academies, and Apprenticeships. The College’s Work Experience and Apprenticeship Recruitment teams will work with you to find the right level of commitment for your organisation and you will soon be sharing the benefits that supporting a student can bring. Working with employers, job centres, housing associations as well as other partner organisations such as Under Construction, we are able to offer unique opportunities in to sustainable employment. Here at the Construction Industry Training Board (CITB) we believe that developing the skills of workers in the construction industry is crucial to the health of the UK economy – that’s why we are working with employers to make sure our industry has the right skills in the right place, at the right time. We are the Industry Training Board and a partner in the Sector Skills Council for the construction industry, working with industry, for industry to deliver a safe, professional and fully qualified UK construction workforce. Our vision is for British construction to have a recognised, world-class, innovative approach to developing its workforce to deliver quality in the built environment. We are on a mission to attract and support the development of people to construct a better Britain. CMT is a training company delivering both government funded training, Careers Advice and Guidance and private training to individuals and businesses across the South West. CMT has been delivering training in Bridgwater for over 10 years in its tutor supported online training centre and training warehouse on Wylds Road. We have also delivered training in the workplace for many learners around the Bridgwater area. Through its funded training contracts, CMT have been working with the unemployed in the area to upskill and support them into work also offering work based training to help businesses develop and progress their staff. Positive People offers a lifeline to people across Somerset who are not in work. If life is not working out, no matter what the reason, we are here to help each person to build confidence, skills and offer a sense of hope for the future. Our change coaches offer personalised 1:1 support that will help each person to move forward with life. We believe that no barriers should stand in the way of what each person wants to achieve. • Manage the tough times and build a brighter future. We realise that each person will have very different personal barriers and goals so our support is completely tailored to every individual. Wherever someone wishes to go in life, Positive People is here to help! Please do get in touch to find out more www.positive-people.org.uk or 0800 334 5525. We are a Somerset-based, Arm’s Length Management Organisation (ALMO) managing Sedgemoor District Council’s homes, with over 10,000 people living in around 4,200 properties. Most importantly, we are passionate about always putting our customers first. Our fantastic team is made up of around 55 employees who are located in the centre of Bridgwater, with a further team based on sites throughout the Sedgemoor district. We work closely with our contractors and partners to make our neighbourhoods great places to live. Our six Western and Wales offices are strategically located to offer our clients a broad range of skills and sector experience to deliver the best possible results. Our geographic spread across Britain, enables us to deliver projects from the Isles of Scilly right up to the highlands and islands of Scotland. Based around our national network of regional offices, each office is led by a senior manager with deep rooted knowledge and understanding of the local market and its communities, whose main job is to ensure that everyone we work with gains the greatest possible value from their projects. From a team of experienced employees spread over six offices in four counties, we are able to offer you a bespoke handpicked team best suited for your project. We have access to a trusted local supply chain which can use their local knowledge to guarantee deliveries of ethically sourced materials. With such a large geographical spread, we are able to position our resources wherever they are required most and our knowledgeable employees can share their experience throughout the region. Somerset Skills & Learning Somerset Skills & Learning (SS&L) are a Somerset-based adult education and training provider operating as a Community Interest Company. SS&L have a long pedigree in delivering qualification courses and Apprenticeship training across centres in Somerset, which stretch from Frome to Minehead. A core part of their offer is Functional Skills and GCSEs in maths and English language and digital skills to adults who want to progress their education into higher-level qualifications or improve their employability. The organisation also works with local community partners, supporting them to deliver outreach learning and events to those who are most vulnerable. Supplementing their educational courses is a programme of leisure and general interest short courses and workshops across arts & crafts, music, languages and fitness, which are open to all adults in Somerset and beyond. Somerset Skills & Learning are leading the co-ordination of education provision in Somerset for Career Learning pilots in Partnership with Sedgemoor District Council. The pilots are a government initiative, providing opportunity to adults in rural areas to retrain or upskill to improve or advance their career prospects through an offer of free or subsidised Level 3 qualifications. Particularly targeted at those over 50 or parents returning to work, the pilots offer those living in rural communities the chance to attend courses and gain qualifications in a variety of subject areas. The courses will be offered via Somerset Skills & Learning, Bridgwater & Taunton College and Strode College. Courses which are subsidised will be eligible for an Advanced Learner Loan. Those who feel they qualify for free or subsidised training should contact enquiries@sslcourses.co.uk referencing Career Learning Pilots. Customer service, retail, business administration, employability, re-engagement and motivation for long-term unemployed people, lifestyles. We work with employers who can provide entry-level jobs, and we work with our learners to help find a suitable position to match their skills and abilities and interests. The programmes are funded through the Skills Funding Agency (SFA). To be eligible, people need to be aged 19 or over, unemployed, have not achieved any similar qualification before. The Bloor Group began building houses for over 55 years’ and today is one of the largest privately owned house building groups in the UK. Building in excess of three thousand homes each year, its success is based on strong traditions of quality, value for money and a genuine desire to build homes that give its customers years of pleasure. Bloor Homes designs and builds homes of distinction, tailored to the needs of modern life, and the company’s approach to design in every location goes far beyond the provision of superior homes. It keeps an eye on the future by combining traditional building materials and using modern methods to reduce maintenance. Every aspect of every development is designed to ensure Bloor Homes creates places where people will be proud to live. Bloor Homes prides itself on devising developments which sit seamlessly within their surroundings. It makes every effort to conserve the natural balance of each location, including the conservation of wildlife and the preservation of natural features. Care and consideration is always taken to ensure the environmental impact of every new Bloor home is kept to a minimum. Bloor Homes operates through seven regional offices across the country, and has in excess of 60 developments, spread from Lancashire to Devon and across the South East. As part of the Bloor Group, Bloor Homes sits alongside other successful companies including Triumph Motorcycles Limited, the largest British motorcycle manufacturer. Somerset Education Business Partnership connects employers and education providers throughout the county. Business-education collaboration enhances careers education, inspires learners, showcases career opportunities and fosters a future talent pipeline. Supporting employers to develop and secure the skilled workforce they need to grow and advance, we help education providers deliver effective career programmes by showcasing locally available opportunities on our directory. We help learners gain a better understanding of post-16 options and the work place, alongside publishing local vacancies, including apprenticeships,here.